1 – The strain of the probiotic. Your label should not just read “l acidophilus ” but should be “Lactobacillus acidophilus NCFM. It should not read just “B. lactis” but should read Bifidobacteium lactis (Bi-07) or (Bi-04). Why? Each strain does different things. Lactobacillus 299V is specicaly for GI function, bloating, gene expression and gut regeneration. 2 – Quality assurance label – Does yours have a GMP certification? This GMP certification is what guarantees the product has been tested as a raw material, during processing, when it is encapsulated or tabletized and then again once it is in the bottle. What does this mean? It means, you get what the label says every time. Yes, it is triple and sometimes quadruple tested. If this is not on your label or indicated on the website, it may mean the testing and quality may not be there. This is why I use Metagenics almost exclusively – they have this guarantee and sometimes, things are not available because the testing was not up to standards. Probiotics and most supplements expire over time. If there is not expiration date, then you have no idea how fresh the product is. Probiotics are typically stronger when they leave the warehouse, and although refrigerated for increased preservation, they last a long time even if the client mishandles it and exposes them to heat. But after 1 year, sometimes longer the potency decreases. So it is not guaranteed after this point to be as effective as it was at the same dose. 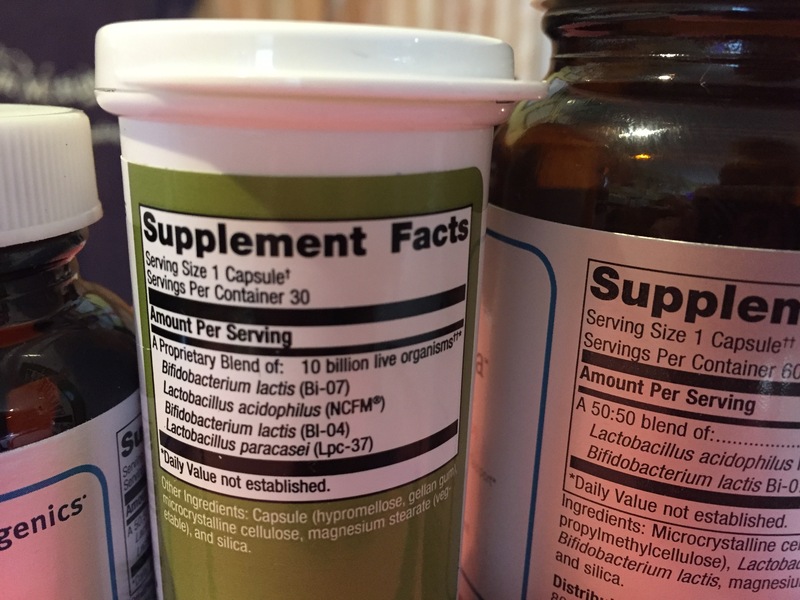 So if your probiotic or any supplement is missing an expiration date or has an expiration date that is longer than 2 years, you may not want to choose that one. 4 – Is it resistant to digestive tract? Does your probiotic hold up to gastric acid? Does it stand up to bile or the whole digestive tract? This will most likely be listed on the website, rather than on the bottle. But if it breaks down and gets destroyed in your digestive tract, it won’t make it to your intestinal tract…..
5 – They are freeze dried vs heat dried. Why is this important?Heating your probiotic destroys the probiotic. It is a fermented product which can resist cold but not heat. Heat the probiotic stains and you basically kill them. So heat dried probiotics are dead and won’t do much good. You want live organisms to be repopulating your gut and intestinal tract! This is also listed on the websites rather than on a bottle. But most probiotics do require refrigeration to extend the shelf life and potency, but you may notice some bottles do not reference storage or temperature at all! Those are probably the probiotics to avoid. 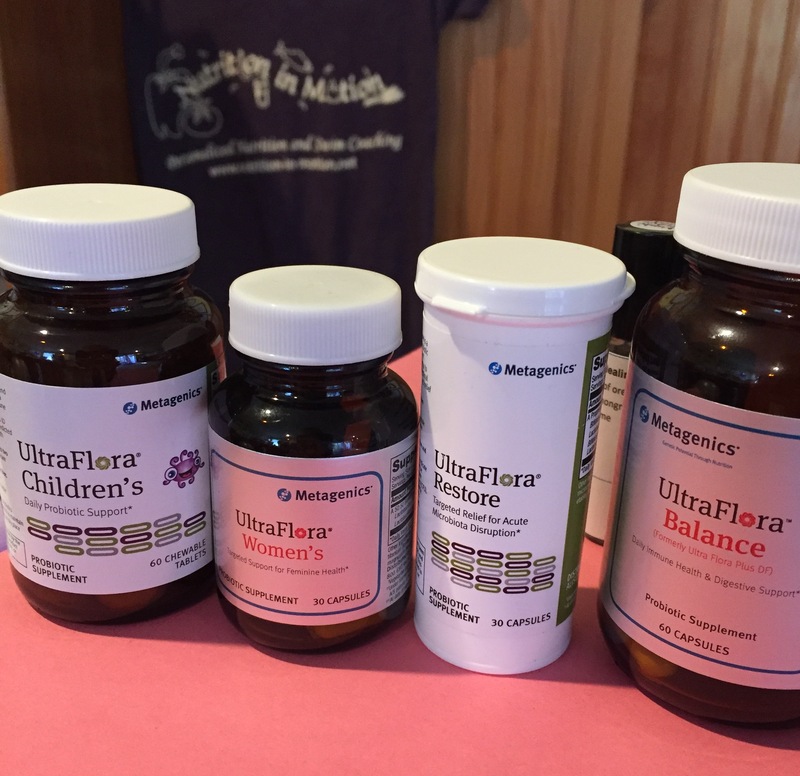 If you have questions about probiotics, what they are used for or how much to take or which one? Call or schedule your Nutrition Response Testing session so we can check to see which probiotic is best for you. Just a small sampling of some probiotics. Metagenics has about 18 of them. *references from Metagenics.com and most recent seminar called Gut & Beyond: 221st Century Advances in Nutrition which included Probiotics Protocols. 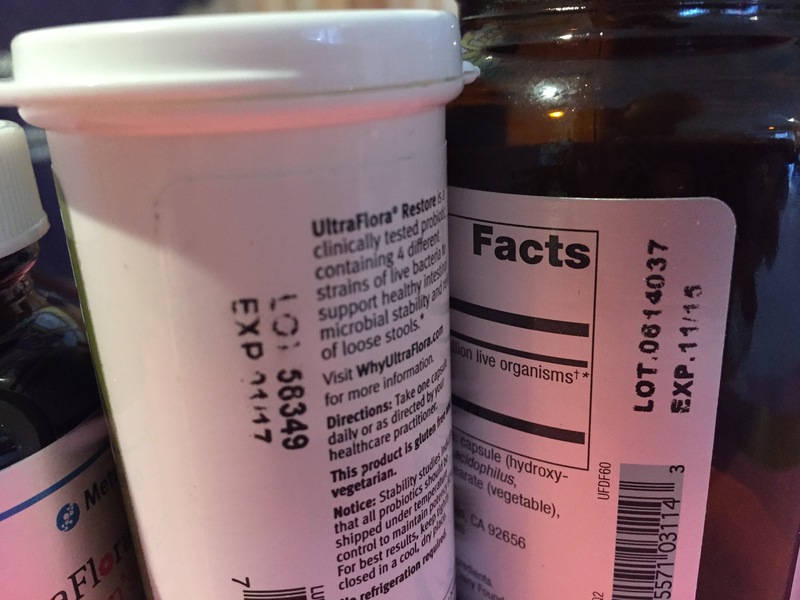 You can also check out WhyUltraFlora here. For more information on their probiotic line, click here.